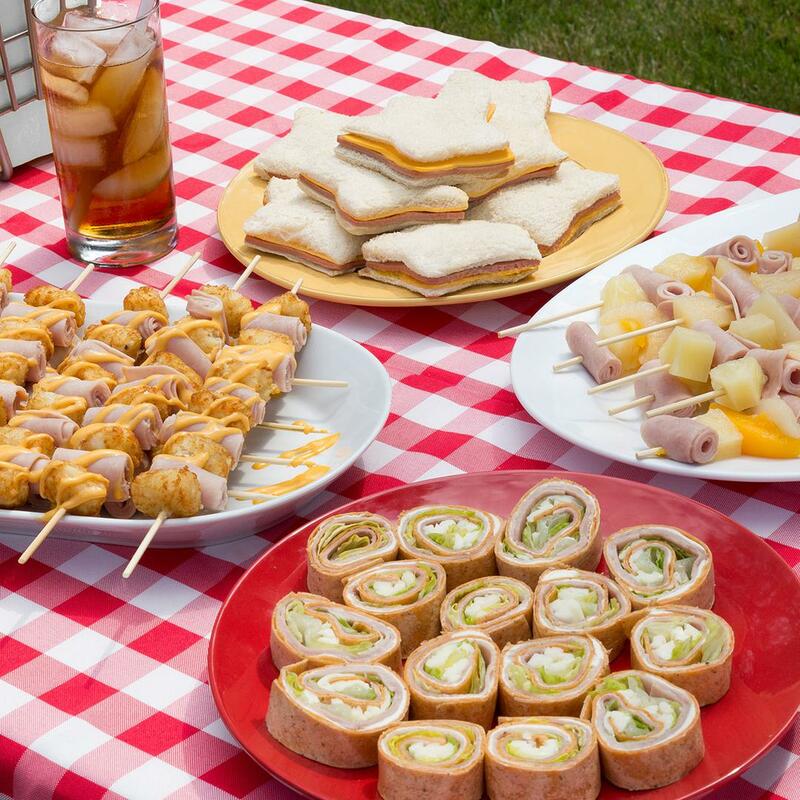 Roll up ham slices and cut into 1-inch bites. Cut fruit into bite-sized pieces. Alternate ham with 3 pieces of fruit.